SHOOTING SUSPECT SOUGHT: Have you seen Daniel Luis Galarza? 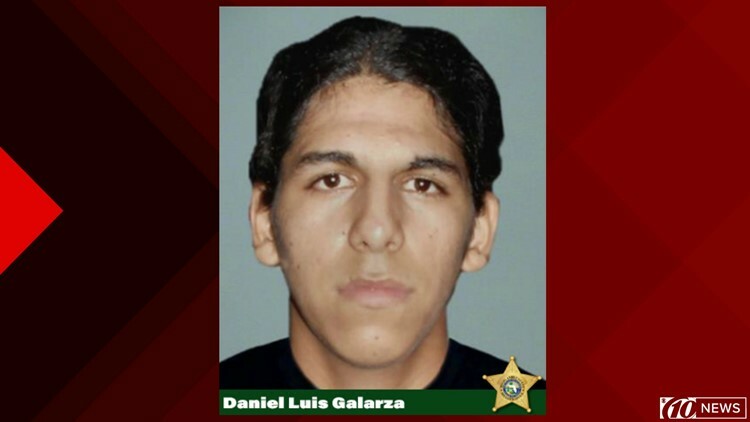 Daniel Luis Galarza is accused of shooting two people in Avon Park, Florida. AVON PARK, Fla. -- Detectives are looking for two suspects they say shot and injured two people Sunday evening in Highlands County. Daniel Luis Galarza, 18, is accused of wounding a 21-year-old man and 17-year-old boy around 5:20 p.m. on Marble Avenue in Avon Park. Both victims were driven to Florida Hospital in Sebring, and the younger person was then transferred to a trauma center for more intensive care. Investigators say their wounds are not life-threatening. Galarza has an arrest warrant for two counts of attempted homicide and one count of robbery. Deputies also are looking for a 16-year-old male, wanted for two counts of attempted homicide and one count of robbery, as well as a violation of probation. Anyone with information about the shooting should call detectives at 863-402-7250 or Heartland Crime Stoppers at 1-800-226-8477. You can also submit an anonymous Crime Stoppers tip by clicking here. If your tip leads to an arrest, you could be paid a cash reward of up to $3,000.